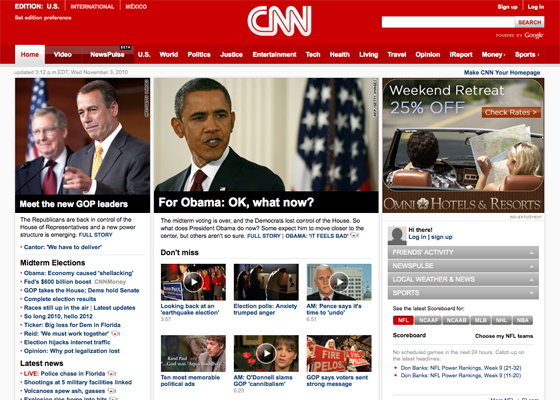 CNN.com saw nearly 80 million page views Tuesday, its best day since the Michael Jackson Memorial in July 2009. Unique visitors to the site were up 10% from the 2006 midterm high, and 26% higher than the previous four-week average. The site also logged nearly a quarter million views of live video during the election night. The other networks have yet to release numbers.